Eleanor Estes (1906-1988) grew up in West Haven, Connecticut, which she renamed Cranbury for her classic stories about the Moffat and Pye families. A children's librarian for many years, she launched her writing career with the publication of The Moffats in 1941. 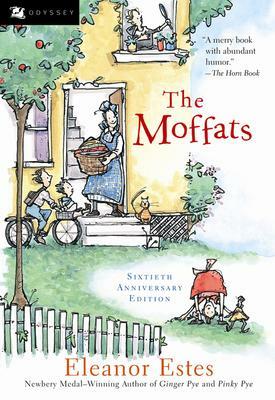 Two of her outstanding books about the Moffats--Rufus M. and The Middle Moffat--were awarded Newbery Honors, as was her short novel The Hundred Dresses. She won the Newbery Medal for Ginger Pye.